If any of your customer or employees expect a web site or service to be available, if in fact it is worth having up at all, then it is worth monitoring. If you're responsible for a service being up, make it easy on yourself by always knowing before your users start to tell you when something needs attention. 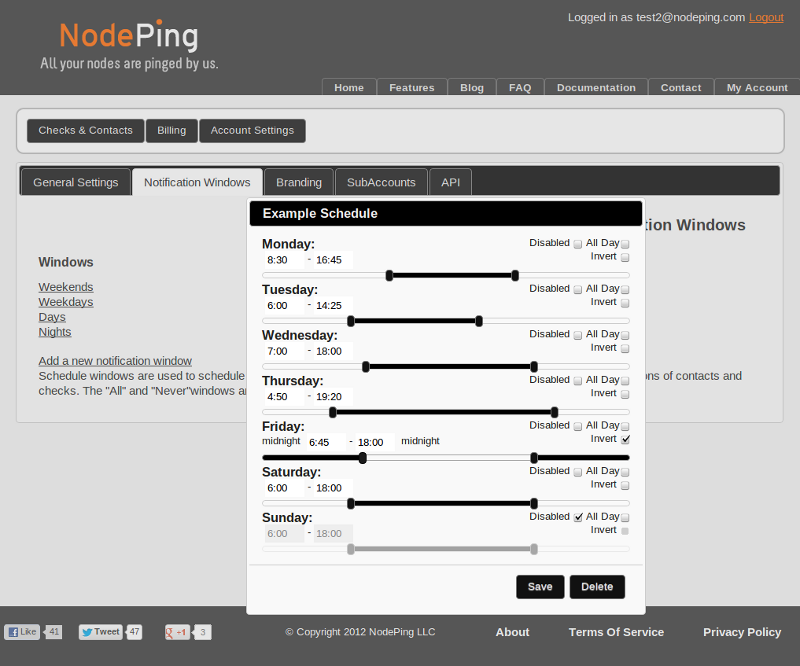 With a flat rate service like NodePing, you can monitor everything without increasing your costs. This is built into using most any monitoring service, and it is a key advantage of using a service instead of relying only on internal monitoring. However you accomplish this though, you should always make sure that if the site you are monitoring goes down, your monitoring is independent of your networks and won't be down too for the same reason. This goes along with the last point. Your server monitoring should be independent of problems in any one location. Many monitoring services, including NodePing, have this built in by rechecking automatically from multiple geographically diverse locations. One of the biggest problems with some notification systems is getting too many notices. We'd all like every web site to respond within two seconds every time, but setting the threshold too close to the normal performance level can give you notifications that you don't really need to do anything about immediately. It becomes very hard for even the most diligent System Admin not to start to ignore them. If you start ignoring notifications, at some point you will miss the one that mattered. 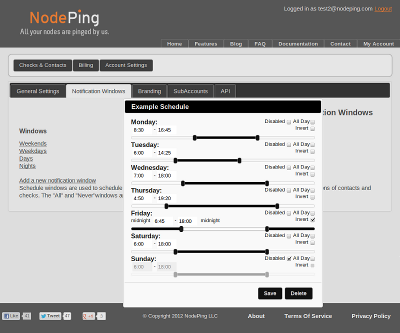 NodePing's systems are designed to avoid unnecessary notifications, but the threshold and sensitivity settings are there to help adjust the notifications to a level that is appropriate for each host. You should use these to get the checks right for that host, so that you get notifications you need, but not notifications you will train yourself to ignore. Along with tuning the sensitivity and threshold for checks, it is important to make sure that notifications that are sent are going to the right person. That means that in the evening and on weekends, for example, they shouldn't go to the guy who is supposed to relaxing with his wife and kids then instead of responding to alerts. Use the scheduling windows to make sure that the notifications are going to the person who is supposed to respond to problems during that time period, and to the right address for that person. This isn't a technical point, but it is important. You can easily spend more than you have to on site monitoring. We think people should shop around for the features and price they need, but in the end if you're paying per check or paying much more than NodePing's flat rate of $10 a month, you're paying too much. It is also important the cost structure of the service you are using does not encourage you to skip monitoring for services that should be checked. Many people think of monitoring as mostly about website monitoring, but it goes much further than just websites. What could you do with monitoring that's easy and you aren't artificially limited to a couple dozen checks? Get creative, and use the service to improve what you provide to your customers as well.